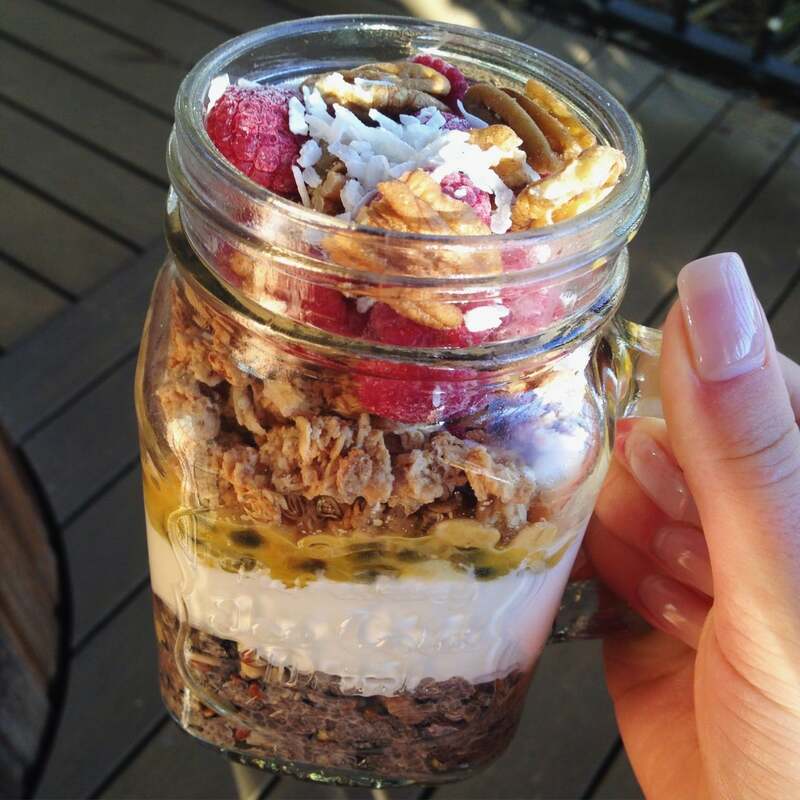 A parfait that has a delicious blend of gooey, crunchy & FRUITY goodness in a jar! 1) Night Before! In a small bowl, mix the blend11, Chia Seeds, Acai Powder & Almond Milk in a bowl. Leave in fridge overnight to set. 2) Morning after! Grab small bowl out of fridge & stir up Chia Pudding mixture. 3) Spoon pudding mixture into the bottom of a jar. Then layer with Natural Greek Yoghurt, Passionfruit (fruit of choice), Granola & more fruit! Even add some nuts (pecans, walnuts) & coconut for extra flavour & crunch. Thanks to Tanisha Sorensen for this awesome Parfait recipe! !